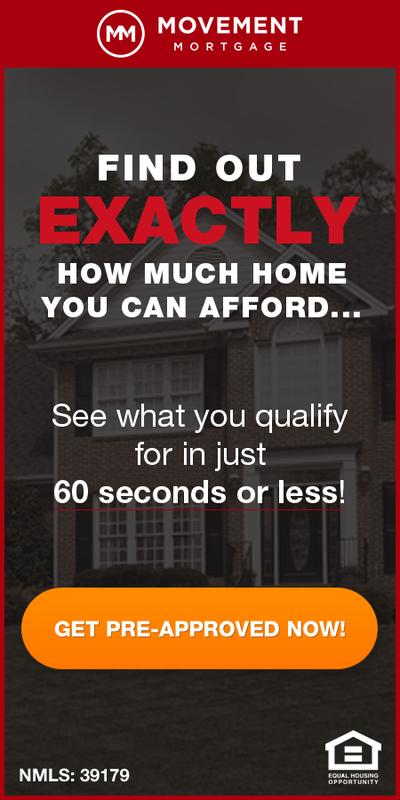 New home construction activity in St Louis during July showed mixed results around the St Louis area. For the five-county core St Louis market that I focus on (city of St. Louis and counties of St Louis, St Charles, Franklin and Jefferson) permits issued for new homes during July slipped 2.7% to 322 from 331 the year before. The decline was concentrated in just two counties however, albeit the two largest ones, St Louis and St Charles. St Charles county saw permits fall to 142 for July, down almost 25 percent from July 2014 when there were 189 permits issued and St Louis county saw permits fall nearly 13 percent during the same period from 78 permits in July 2014 to 68 in July 2015. On a year-to-date basis, the 5-county core St Louis market is up 11.2 percent from a year ago with 2,257 permits issued versus 2,030 as of the same time a year ago. 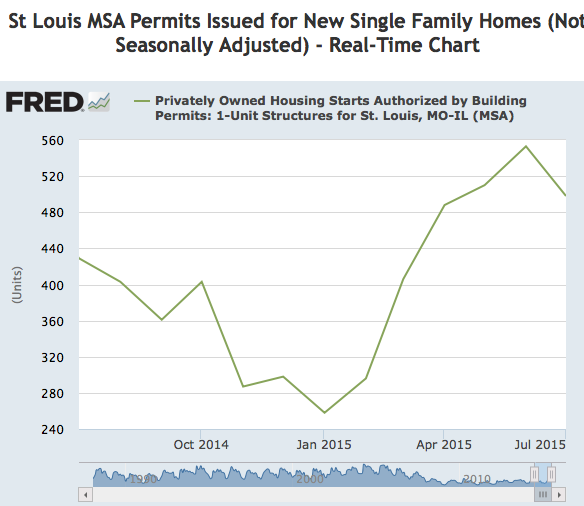 For the St Louis MSA, as the chart below shows, building permits issued for new homes in July was up 13.8% from a year ago.